The Constitution Unit has today launched an Independent Commission on Referendums, to review the role of referendums in UK democracy and consider how the rules and practice could be improved. The Commission’s members represent a range of political opinions, with expertise extending across all major UK referendums of recent years. Alan Renwick and Meg Russell highlight some of the key issues that have led to the Commission’s establishment. The Constitution Unit is pleased to announce the launch of an Independent Commission on Referendums. The UK’s recent experience of referendums has prompted various criticisms of their use and conduct. With referendums now an established part of UK democracy, a review of their regulation and practice is needed. The Commission’s twelve members – listed in full on its webpages – include two former cabinet-level ministers, four other present or former parliamentarians, as well as senior figures from the worlds of regulation, journalism and academia. With their immense expertise and experience, and supported by international research conducted by the Constitution Unit, they will be very well placed to develop constructive and thoughtful recommendations for the use and conduct of referendums in the UK. We make no attempt in this post to prejudge what the Commission members might conclude. Rather, we highlight some of the key issues and concerns that have led to the Commission’s creation and prompted such distinguished individuals to take part. When and how should a referendum be called? The most fundamental question is that of when referendums should be called – indeed, whether they should ever be held at all. Recent referendums in the UK have raised many doubts. In Wales in 2011, some queried whether voters could reasonably be expected to decide on what many saw as relatively technical changes to the devolution settlement. Turnout just above one third of eligible voters suggested that public engagement was low. Two months later, voters across the UK were asked to vote on an electoral system – the alternative vote system – that few campaigners really wanted, primarily due to bargaining between the two coalition partners. In Scotland, the question of who should have the power to call an independence referendum has been and remains contested. Since the Brexit referendum last year, some on the losing side have vowed ‘never again’, and even some of those prominent on the winning side have suggested that this was a vote that shouldn’t have been held. In its recent report Lessons learned from the EU Referendum, the Commons Public Administration and Constitutional Affairs Committee (PACAC) – chaired by arch-Brexiteer Bernard Jenkin – criticised the use of what it styled a ‘bluff-call’ referendum, initiated by the government on a proposal that it opposed in the hope of shutting down debate on the issue. The UK currently has few agreed principles on when referendums can and should be held – parliament can, in principle, call a vote on anything it likes at any time by passing enabling legislation. 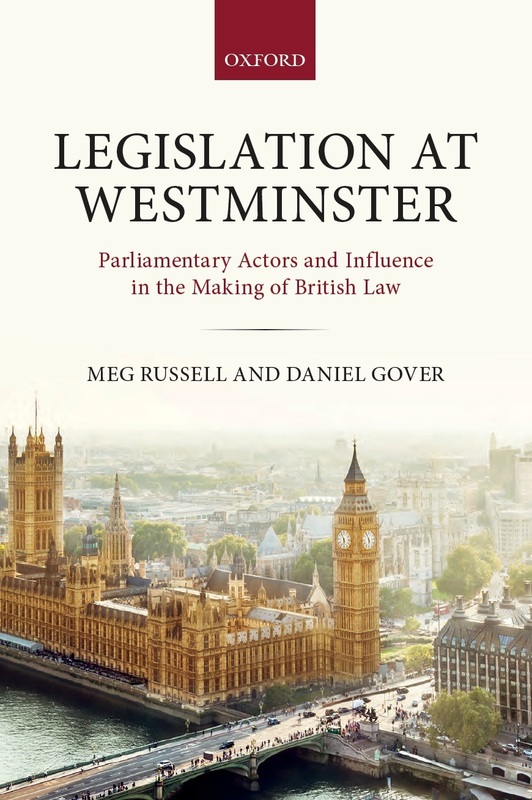 In practice, some conventions have begun to emerge as to when a referendum is considered appropriate, and in 2010, the Constitution Committee of the House of Lords proposed a list of constitutional matters that might need to go to popular vote. Yet any such norms remain relatively weak. So it is worth considering whether it would be desirable – and indeed even feasible – to stipulate more precisely when referendums should be held or how they should be called. PACAC suggested that ‘bluff-call referendums’ should stop, but is there any way of giving such an exhortation real-world weight? Many other democracies do specify the processes for triggering referendums much more tightly, and investigation of the options here will be important. How can a fair and balanced campaign be encouraged? Few would disagree with the principle that, if a referendum is to empower voters, the campaign should be reasonably balanced: it should not be possible for one side to sway the debate through overwhelmingly greater resources. The UK actually has stronger rules on balance in referendum campaigns than many other democracies. There are spending caps on campaigners designed to limit how far one side can outspend the other. Broadcasters must remain impartial. The resources of the state cannot be used to support one side of the debate in the final 28 days preceding the vote. The wording of the referendum question is subjected to rigorous testing for neutrality as well as ease of comprehension. Yet there are also important concerns. In the EU referendum, while the government complied – reluctantly – with the 28-day ‘purdah’ period, it poured significant state resources into the campaign for continued EU membership in the days and weeks before that, famously using £9.3 million of public funds to distribute a leaflet explaining the government’s position to every household. PACAC’s post-referendum report argued that ‘nothing but the Government’s political intentions are served by maintaining the 28-day purdah period’ rather than adopting a longer period. The intended effect of the spending caps, meanwhile, can be undermined if there are multiple campaign organisations – each working to their own cap – on one side of the debate. The process of designating ‘lead’ campaigners, who receive state support and other benefits, is also contentious. And how broadcasters should best interpret the impartiality requirement has been contested. Here too there may be lessons to learn from other countries. While some, such as France, have no restrictions on the involvement of public authorities in referendum campaigns or the use of public funds, many others, including Ireland, Austria, Portugal and Australia have a variety of different neutrality rules. How can informed debate be promoted? Balanced debate is not necessarily enough: the content of the debate should also, so far as possible, support voters in making an informed choice. But the quality of information disseminated by campaigners and transmitted through the media has been a major theme in criticism of recent referendums. A month before the EU vote, the Commons Treasury Committee warned that ‘The public debate is being poorly served by inconsistent, unqualified and, in some cases, misleading claims and counter-claims. Members of both the “leave” and “remain” camps are making such claims’. Five years earlier, one journalist complained that ‘The AV referendum has produced the most idiotic political debate in living memory’. In Scotland in 2014, each side, with some justification, accused the other of trying to dupe voters – through scaremongering on one side and over-optimism on the other. Options for improving discourse during election and referendum campaigns are the subject of an ongoing research project at the Constitution Unit, which the Commission will be able to draw on. Ireland’s Referendum Commissions provide one interesting model for promoting high quality debate. A commission is established at each referendum to inform the electorate and encourage voting. It produces and distributes neutral information and intervenes in the campaign to clarify statements. In New Zealand, neutral bodies have gone even further at some referendums in providing impartial information. The US state of Oregon, meanwhile, seeks to develop mechanisms for citizen deliberation during the campaign. Alan Renwick has set out such options in more detail in a previous post on this blog. How should results be implemented? The 2015 EU Referendum Act did not say what should happen in the event of a Leave vote: in law, the ballot was purely advisory. 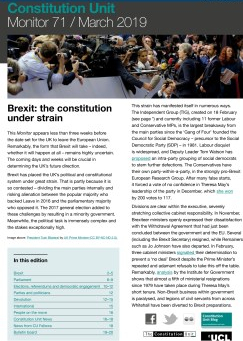 Following the result, the question of who had the power to trigger Article 50 became the subject of a contentious court case, and the uncertainty exacerbated perceived tensions between popular and parliamentary sovereignty. Unlike in many other democracies, the principle of parliamentary sovereignty prevents a referendum decision alone from binding parliament. But some referendums in the UK have been post-legislative, in the sense that parliament has already agreed through legislation what the effect of a vote for change would be, allowing implementation to happen following the vote without further reference back to parliament. For example, the enabling legislation for the 2011 alternative vote referendum included full details of how the system would work, and empowered the minister to either commence or repeal provisions to introduce AV. This kind of arrangement provides greater clarity and certainty, but would have been difficult in the Brexit case. Some have also proposed that there should be referendum thresholds beyond a simple 50 per cent of the votes cast. There may be good reasons for saying that a momentous and perhaps irreversible change should not be made on a knife-edge vote. On the other hand, if a clear but small majority preference was thwarted, that could readily be denounced as ‘undemocratic’ and serve to undermine public confidence. The UK has limited experience of thresholds: 40 per cent of the electorate was required to vote for devolution in the 1979 Scottish and Welsh referendums for the proposals to be enacted. Many thought that illegitimate, and similar thresholds have not been tried again. But other kinds of threshold have been proposed: in 2015, for example, the Scottish National Party argued that Brexit should happen only if it was supported by a majority of voters in the UK as a whole and in each of the nations. Others might argue that parliament, as well as the people, should be required to vote for major constitutional change. A variety of thresholds and limits are common in democracies around the world. Indeed, most referendums are subject to some kind of requirement beyond the basic 50 per cent rule. Denmark and Lithuania, for example, use electorate thresholds similar to those employed in 1979. Elsewhere, supermajority thresholds above 50 per cent are employed. For example, in Canada, a threshold of 60 per cent of votes cast was specified in legislation enabling referendums on electoral reform in British Colombia (2005) and Ontario (2007). In Australia a double majority is required for a referendum to be valid: both a majority of voters nationwide and a majority in four of the six states. The 1996 Constitution Unit Commission on the Conduct of Referendums paved the way for the first regulatory framework for referendums, the Political Parties, Elections and Referendums Act 2000. 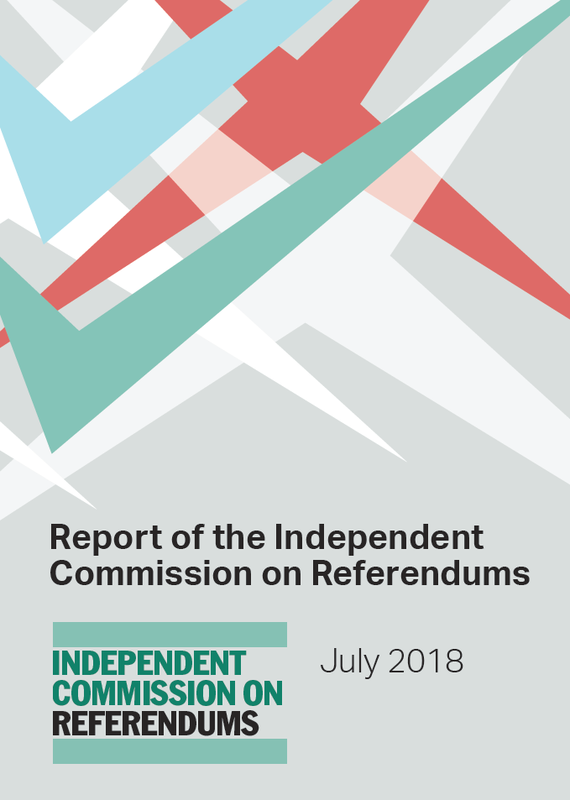 We hope that the report of the Independent Commission on Referendums, due to be published in summer 2018, will similarly shape future debate about the use and conduct of referendums. Ultimately, the Commission’s objective is to encourage policy change that will improve the practice of referendums and strengthen the UK’s constitutional and democratic framework. Dr Alan Renwick is the Deputy Director of the Constitution Unit, and Research Director for the Independent Commission on Referendums. This entry was posted in Elections and referendums and tagged Alan Renwick, EU referendum, Independent Commission on Referendums, meg russell, referendums, Scottish independence referendum. Bookmark the permalink. Thought-provoking. How do you see referendums in the context of India? 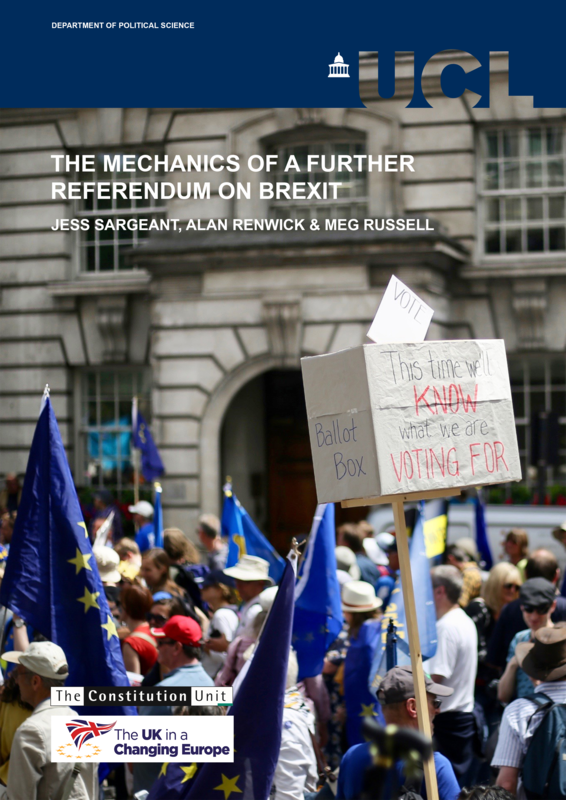 Why is the question of a referendum, even in theory as well as in practice was avoided despite following the Westminster Model of Parliamentary democarcy? I see very little point in this project. It leaves out the key factor in the EU referendum – that the general voting populace was appallingly ignorant about what they were voting for – and many are still ignorant today. A someone who is politically active I can tell you that very few really know anything about any part of their government be it local, devolved or UK level, never mind the complexities of how the EU functions. Several among those I have conversed with think that the extradition of Abu Katadr was prevented by the EU. To be brutally frank, most of the people who told me that was their reason did not know what the ECHR was, never mind when, why or by whom it was set up. Others quoted reasons such as the “The ban on bent bananas” or “What they did to Greece” or “unelected bureaucrats in Brussels”. On further questioning, none could correctly describe what the legislation on bananas involved, what Greece had done to merit any action whatsoever by the EU or how many or who those mysterious unelected bureaucrats in Brussels actually were. In the course of campaigning in other electoral processes, I have been astounded at the level of ignorance in the voting public. I have seen voters rant at candidates for Westminster MP positions about potholes on local streets and problems with bin collections, and perhaps more shockingly, I have heard a Labour Candidate for Councillor to our Local Authority claim that he would “eliminate the bedroom tax”. Admittedly he was under 21 and a no hope candidate in a ward that has never elected a Labour Councillor but to me that level of ignorance is utterly pathetic. The primary causes of the this ignorance is multi-faceted. Firstly there is a large cohort of adults who never had any education on how our government works. 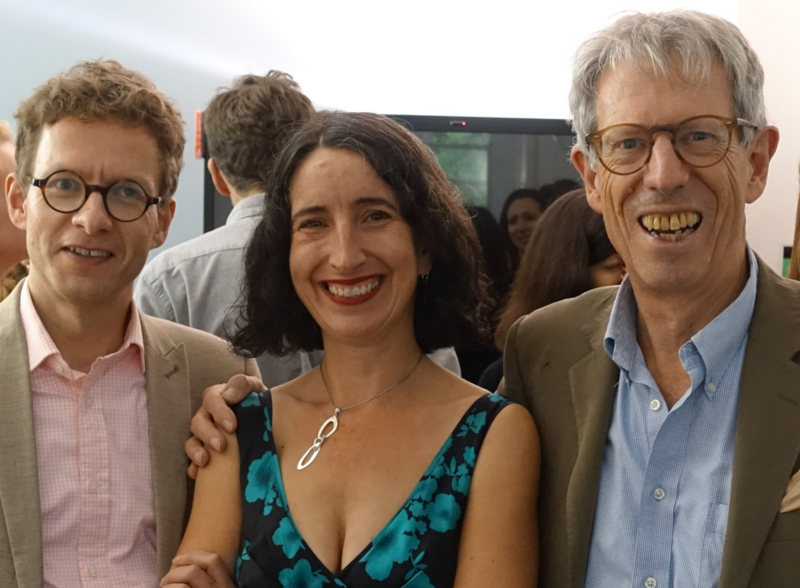 Secondly – if the example of the youthful Labour Councillor candidate is to be believed – Civic Studies in our schools are failing to inculcate students in the basics of what the various levels of government are responsible for – never mind any more advanced ideas on how democracies work. Thirdly the mainstream press has pursued a campaign misinformation, smears, deliberate conflations of ideas, juxtaposition of misleading and inappropriate pictures, cherry-picking of figures and suppression of facts which did not fit – all designed to manipulate the opinions of the public to the benefit of the publications foreign-domiciled billionaire owners. Fourthly the BBC has failed abysmally to counter the campaign of the mainstream press with any robust journalism and added a gross overexposure of proponents of outlandish ideologies. In the case of the EU referendum that was UKIP a party primarily funded by one rich individual. Now it regularly quotes the tabloids. I class this as dereliction of duty in a public body. It would be more useful to do research on the level of knowledge that led people to make their voting choice, and how the level of knowledge and participation can be improved. All else is dross. In my opinion referendums should not be part of our democracy at all. We elect a government & that should suffice if any government of whatever colour feels that they need input from the electorate then they should resign & fight a general election on that fact.